In less than a week, Joko Widodo will be sworn in as Indonesia’s seventh president; the first without ties to its authoritarian past. Mr Widodo succeeds Susilo Bambang Yudhoyono, marking the country’s first exchange of power between directly elected presidents. The election was fiercely contested but peaceful, and the role of the military was singled out by President Yudhoyono. At this week’s ceremony commemorating the 69th Anniversary of the Indonesian armed forces, he praised the military for their neutrality in the heated contest, saying this was proof of its successful reform. He urged the 500,000 soldiers to be the “army of the people” and to “help safeguard and take part in the ongoing transformation of our nation”. Unlike Indonesia’s leadership transition, Thailand’s political development has stymied. Following the May 2014 coup, Thailand has been ruled by a military junta under Gen. Prayuth Chan-ocha. Through the National Council for Peace and Order (NCPO), the Thai military controls key ministerial portfolios including defence, foreign affairs and the interior. The NCPO has also appointed a 200-member National Legislative Assembly filled primarily with active and retired military and police officers. Just over half or 52 per cent of Thailand’s legislature is now reserved for the armed forces – more than twice the military’s representation in Myanmar’s current parliament. What explains Indonesia and Thailand’s differing trajectories? The support of the armed forces for political reform has important bearing for the prospects for democratisation. Militaries possess coercive resources that can revoke, if not veto outright, the policies of their civilian leaders. The coup d’état is perhaps the starkest manifestation of what happens when the military exercises this prerogative. Curtailing the political role of the military is vital for countries such as Indonesia and Thailand. The Indonesian military (Tentara Nasional Indonesia/TNI) was the main tool of repression during Suharto’s more than three decade long New Order regime. The Royal Thai Armed Forces (RTARF) have attempted more than 30 putsches since the end of absolute monarchy in 1932, and was complicit in almost every change in the prime ministership since 2006. Both militaries suffered from damaged reputations and faced critical junctures which opened the prospect for democratic reforms. The RTARF’s image took a beating following their crackdown on pro-democracy protestors in May 1992. In Indonesia, the TNI was implicated for the human rights abuses prior to Suharto’s downfall, and was viewed as being behind the post-independence referendum violence in East Timor in 1999. The TNI however enacted institutional reforms and took steps to support democratisation. Following the collapse of Suharto regime, the TNI took on a Paradigma Bahru (New Paradigm). It reduced its representation in the local and national legislatures, and completely withdrew from these positions in 2004. The military’s Dwifungsi (Dual Function) doctrine, which justified its socio-political role, was repealed in 2000. The kekaryaan policy, which permitted active military officers to serve in strategic positions in the bureaucracy and state-owned corporations, was also rescinded in 2000. The Indonesian parliament passed laws separating the police from the military, decreeing an internal security (keamanan) role for the police, and placed defence (pertahanan) under the armed forces. Under the New Order regime, the military was used as a vote canvasser for the ruling party Golkar. Notably, in all post-Suharto elections, the TNI has maintained its neutrality, even when leading retired military officers such as Susilo Bambang Yudhoyono, Wiranto and Prabowo, ran for office. Perhaps the most significant reforms were the State Defence Law of 2002 and the 2004 TNI Act. Anchoring the State Defence Law was the Indonesian parliament’s oversight role in force deployment, the military’s budget, and the appointment of key commanders. The TNI Act was far-reaching in codifying reforms in support of democratisation. The law clearly spelt out duties of the TNI, obligating military personnel to adhere to democratic principles, civilian political supremacy, the respect for human rights, and national and international laws. The Act also outlawed the military’s involvement in political and economic activities and required the transfer of military businesses to the government by 2009. In Thailand, the military’s nascent promises to retreat from politics were not carried through. Following the May 1992 crackdown, the RTARF pledged it would not intervene into politics again. However, this retreat to the barracks was not institutionalized and legally codified. Under Prime ministers Chuan Leekpai and Chavalit Yongchaiyudh, the military was downsized and streamlined. Limitations were also placed on RTARF’s economic activities. But these moves to delimit the Thai military’s prerogatives in the 1990s were largely a reflection of the economic realities forced on the government during the 1997/98 Financial Crisis. In horseracing, horse owners hire jockeys to ride horses. The jockeys do not own the horses. They just ride them. A government is like a jockey. It supervises soldiers but the real owners are the country and the King. The government supervises and employs us…. What I mean is that we are the country’s soldiers. Governments come and go. This tutelary relationship was evident in the political machinations months prior to the May 2014 coup. Defence Minister Gen. Prawit Wongsuwan and Interior Minister, Gen. Anupong Paochinda, now core leaders of the NCPO, had backed Suthep Thaugsuban’s fiery anti-government protests and his self-styled People’s Democratic Reform Committee. Anupong and Prawit’s political involvement incidentally predates the 2014 coup. In 2006, Anupong led a key military command that toppled Thaksin Shinawatra’s government. In 2008, he infamously recommended that the Thaksin-allied Prime Minister Samak Sundaravej step down. Later as Army chief, Anupong oversaw the 2010 bloody crackdown on red-shirted protestors. Prawit was Army commander from 2004-2005 and was succeeded by Gen. Sonthi Boonyaratkalin, who led Thailand’s junta from 2006-2007. For states with legacies of militaries playing a central role in politics, democratization requires the developing of strong and legitimate institutions to separate the political elite from the armed forces, and more importantly, for these institutions to exercise oversight over the military. Indonesia has made significant strides to build these institutions, rendering coup d’états a low possibility. In Thailand, on the other hand, elite political manoeuvrings almost always involve the armed forces. Democratization remains elusive in the land of smiles. An abbreviated version of this article first appeared in The Straits Times, Singapore on October 9, 2014. 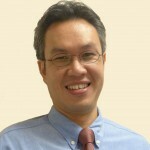 Terence Lee is Assistant Professor of Political Science at the National University of Singapore. He is the author of Defect or Defend: Military Responses to Popular Protests in Authoritarian Asia published by Johns Hopkins University Press (2014). Why are nations allowed to have armies? Since when have national armies made nations secure rather than landing them in wars? Would not security be better entrusted to the United Nations? If so, why do we not make nations hand over command of their armies to an empowered UN Security Force, committed to keeping the peace and protecting our rights?